Hey kids–I’ve been really busy lately (in fact, it seems we both have), hence the dearth of new posts. But it’s not that I haven’t updated anything–in fact, we made some edits to a post from nearly a year back the other day thanks to some new vintage photos of the Leh’s Department store in Whitehall, Pennsylvania (outside of Allentown) at the Whitehall Mall. Since it’s unlikely any of you would’ve coincidentally stumbled across it (and it was posted before many people really even read Labelscar…) I figured I’d put it back out front, for all to see. And thanks again to Michael Lisicky for the great additions! Original post as of June, 2006: Nowadays, whenever we go to look at a group of new malls, it seems that at least one or two in each metropolitan area is already gone or has been changed substantially. 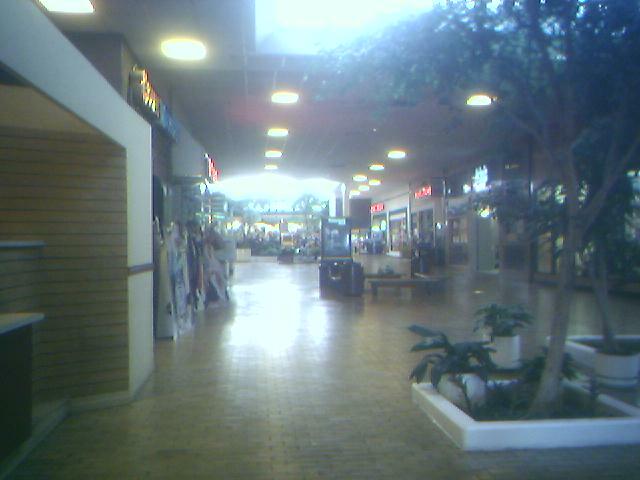 On a trip down to the Lehigh Valley area of Pennsylvania in November of 2005, I found one of these weird FrankenMalls: Whitehall Mall in Whitehall. Located just north of the large and successful Lehigh Valley Mall, which is the main mall serving the greater Allentown and Bethlehem area, the Whitehall Mall is located in a high traffic location. That’s probably why its owners felt it should be big boxed (PDF) (and from my research, its redevelopment was done quite awhile ago: 1998, to be exact), though this is one of the more bizarre big box efforts that I’ve seen at a mall. A large section of the Whitehall Mall’s interior has been preserved and was not renovated, and the part that was turned outward doesn’t include many large box stores. Strangely, it appears to me that the original Sears entrance would’ve been the one that currently faces towards the plaza, but I did find an abandoned exit from inside the Sears that I assumed went towards the mall. I’m not sure which is true, though it could be either or both depending on the center’s old configuration. The most notable find here was obviously the old enclosed portion, which does not appear to have been renovated since the 1960s or early 1970s. 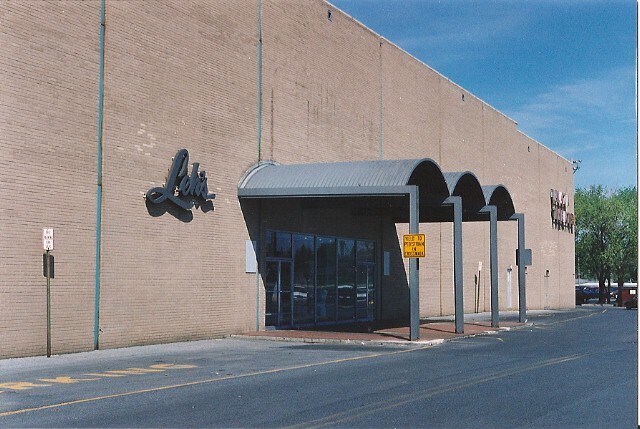 There was a large atrium near the entrance and former “Plaza” movie theatres, adjacent to an anchor that is currently mostly occupied by a Weis Markets but which was originally a Leh’s Department store (and a Zollinger Department store before that). 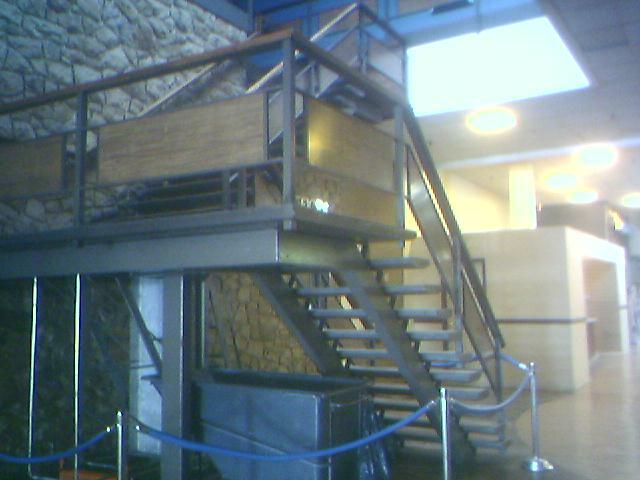 There’s also an area about halfway up the hallway where there was a set of stairs leading up to the mall offices. They were set in front of a very groovy and retro stone wall. In all, this is hardly an inventive (or particularly successful commercially, it seemed) way to hack up an old enclosed mall, but it did leave a few cool vestiges for us vintage mall fans. UPDATE 5/2/2007 11:52 PM: Michael Lisicky, a constant source of excellent vintage photos for Labelscar, sent over some shots of the former Leh’s anchor at Whitehall, as well as an advertisement/logo for Zollinger dating to the early 1970s. The Leh’s shots all date to May 1994. Thank you so much for mentioning the Whitehall Mall, as I used to live near it (as well as near the Lehigh Valley Mall) during the first four years of my life. Again, because I was so young when I moved out of the area, I don’t remember much about either mall from my first-hand experience. Rather, I know a lot about these malls from the things that I have read. I last visited the Whitehall Mall in 1997, and of course, it was still enclosed at that point. If I remember correctly, the Sears there had only one level (but it was still a nice store). The mall also had a Woolworth’s, since its sign was still up despite the fact that the entire chain had just recently closed. I am not sure as to whether the Kohl’s was also there in 1997. I am almost certain that Sears, Woolworth, and Weis Supermarket were at the Whitehall Mall from the beginning. However, Kohl’s was definately not there from the start. Any information regarding what used to occupy the Kohl’s space would be greatly appreciated. Regarding the Lehigh Valley Mall, the anchors that were there when I lived in the area were Bamberger’s, JC Penney, and John Wanamaker. These were also the mall’s original anchors. In 1986, Bamberger’s became Macy’s. The John Wanamaker store has changed hands several times: it became Hecht’s in 1995, Strawbridge’s in 1996, and is about to become Boscov’s later this year. Also, I believe the Lehigh Valley Mall openend circa 1976 or 1977. However, I have no idea when the Whitehall Mall opened. 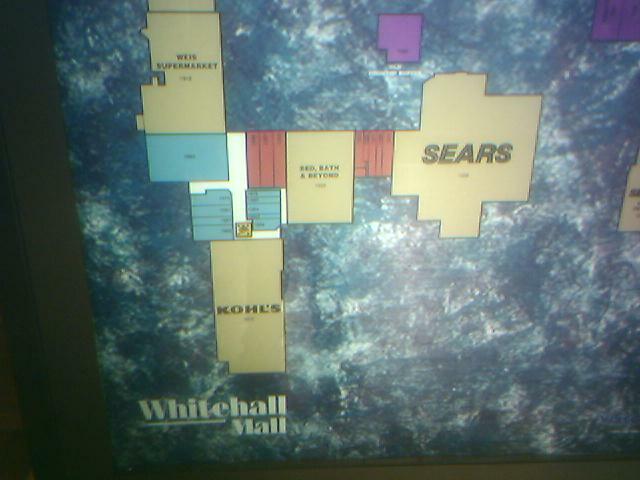 The original Whitehall Mall was an “L” shape with Weis Markets at one end (located at the doors facing Grape Street) and the Sears located where it is now. At the corner of the L was the Plaza Theater and there used to be doors to exit to a parking lot at the end of the Plaza. In late 1981 they put an addition on the mall that started at the Plaza and went up to what is now Kohl’s. Originally, the spot currently occupied by Kohl’s was a store called Clover which opened in March of 1982 (I was one of the original employees). Clover was exactly like Walmart or KMart except we never had a food section. Clover was a division of Strawbridge & Clothier of Philadelphia and all of the Clover stores (there were about 20) were closed when S & C was bought by another chain. I believe that was around 1995 or 1996. Kohl’s took over most of the Clover locations. In addition to the Clover, the new wing had a place called Space Port which had arcade video games (I spent many lunch breaks there) a Hallmark card shop, Arby’s, and a couple of other stores that I can’t remember right now. Hope this helps. If you hvae any other questions that I might be able to help you with please write. I have been searching all over the Internet today for a specific arcade racing game that I used to love. This led me to try finding that good ole arcade in the Whitemall that we went to all the time when I was a kid in the late-1980s and early 1990s. When I saw the photos of the mall where Woolworths was and the plaza with that drop-down wall where it says Plaza and Offices on either end of it, brought tears to my eyes because of those memories. I’m wondering who owned that arcade there. I miss the way the Whitehall Mall used to be. It was a nice small mall. I used to frequent it and the Lehigh Valley Mall. My husband grew up not too far from there. I had visited them both in 1994, and then various things kept us out of the area until around 1999-ish (give or take). 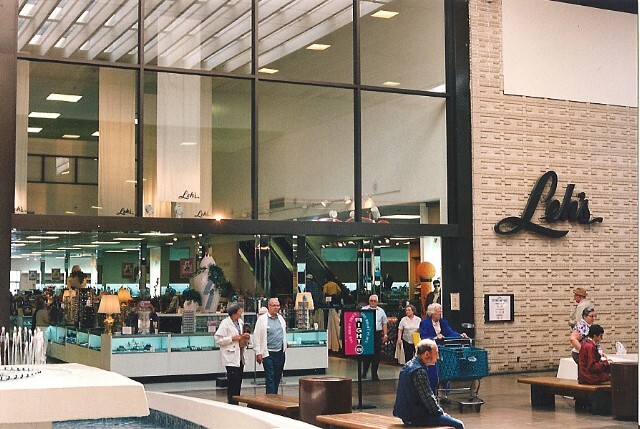 The Whitehall Mall had several anchors/larger stores. Sears, Woolworth, Leh’s (a local chain), and Clover (a division of Strawbridge and Clothier – a more K-Mart like store). Only Sears survives out of those stores. I believe Weis was there at that time. I don’t remember a whole lot of the stores in the mall. I do remember there being a Sixteen Plus, Catherines (which has moved out of the mall to a strip center up the street), Payless (still there), and a store that sold Capezio dance shoes (may have been a Capezio store). When we went back, I was saddened to see that they hacked the nice little mall up. And don’t get me started on what they did to the Lehigh Mall in the name of progress…..
**Corrections (I need to proofread better). It should say I LAST visited in 1994, and what they did to the Lehigh VALLEY Mall. 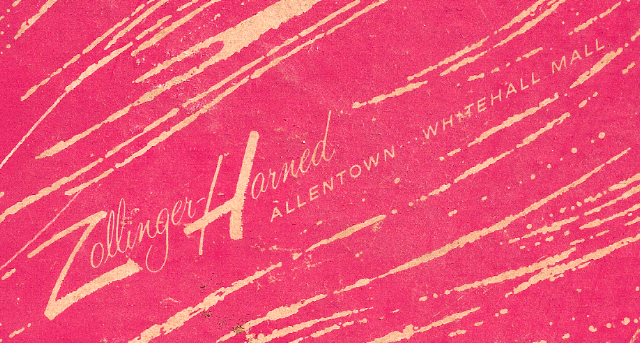 This mall was the site of the first suburban location for Zollinger-Harned, a local department store whose Hamilton Street location in Center City Allentown is now the Sovereign Building. 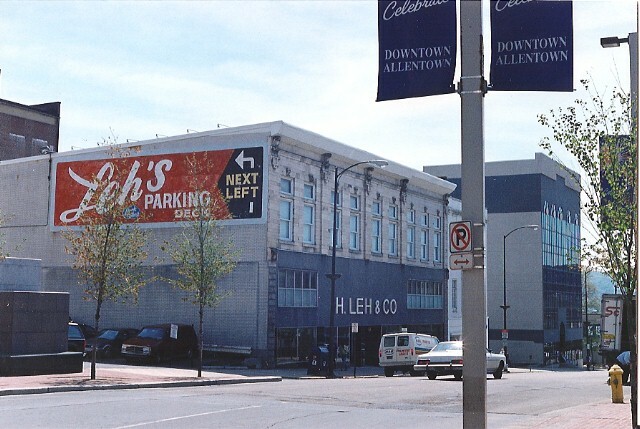 When Zollinger’s went out-of-business in the late 70s, H. Leh & Company took over the Whitehall Mall location for its expansion efforts into the suburban landscape of the Lehigh Valley. 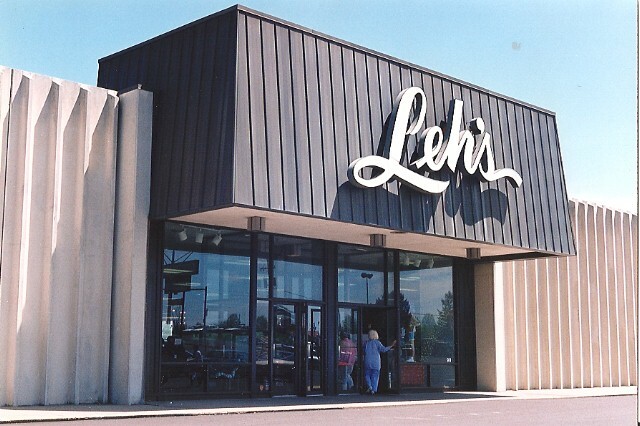 Leh’s, too, bit the dust in the mid 90s…the oldest surviving family-owned department store chain in the country. Kohl’s opened where Clover used to be. 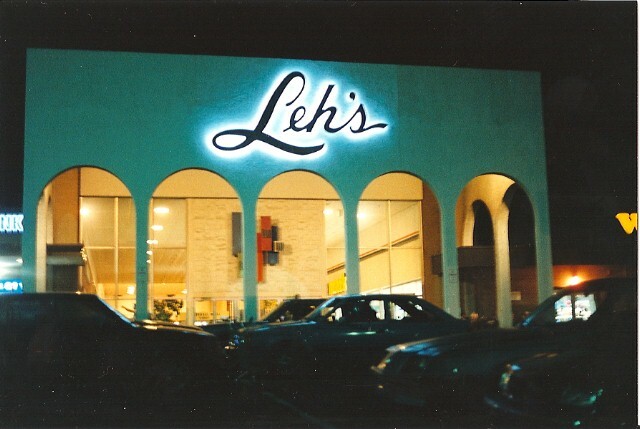 And Leh’s used to be next door to Weis Supermarket. There used to be a Woolworth there with a lunch counter that opened into the mall. I would say the mall opened around 1967 or 68 as I remember shopping there as a little girl. It was the first indoor mall that I can recall in the area. In addition to the Sears, Zollingers, and Woolworth’s, the mall had a Spencers Gifts. an Ormonds and Junior Colony (junior clothing). I remember a round open air stage in the mall closer to the Sears end and a sunk in seating area down closer to Zollingers/Leh’s. There was a cafeteria style restaurant attached to the mall called Percy Brown’s but it had no access from the inside of the mall. 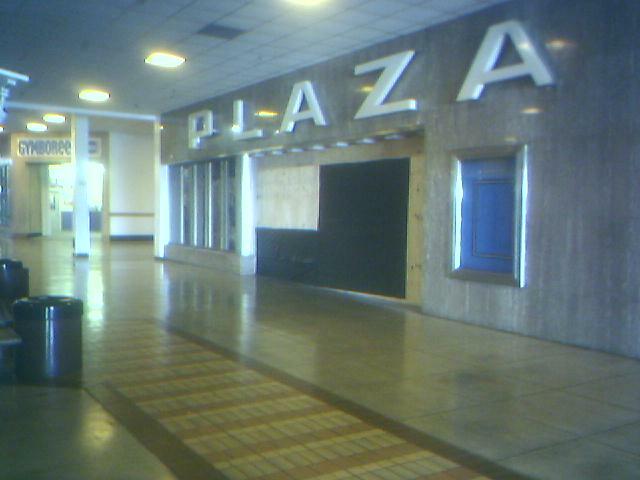 The Plaza theater was at the back end of the mall. I also remember for the longest time in the northern parking lot there was a big slide…the old multi lane slide that you ride down in a burlap sack. I can’t recalll why it was there but it was great when I was a kid. Clover was added later and was not an original part of the mall. Bamberger’s at the Lehigh Valley Mall opened in summer 1976, with the rest of the mall following in fall. LVM was pretty much the demise of WHM albeit a slow demise. @Melba, do you recall the name of the pizza place in the whitehall mall. @Melba, it was Allegro’s Pizza I believe. @Kristin, Thanks alot, I have been trying to find the name of the pizza place for at least 5 years. I know there was a Lucas Pizza up near the Sears end. @Melba, I’m a few years behind in finding this info but I am so thankful you mentioned the slide behind the Whitehall Mall. I have been trying to find anyone else that remembered it. My friends all thought I was crazy when I told them I remembered going there. What a weird mall now. Just a small enclosed portion. I wonder how they expect something that small to succeed. It just looks like their didn’t think it through. This looks like something out of Northern Lights Mall in suburban Syracuse or Northwood Mall in Tallahassee. with the small interior. At least it still is a mall of sorts, and hasn’t been converted into office space for the State of Florida like Northwood has. I remember going to this mall a lot as a kid (late 80’s/early 90’s…as a matter of fact, I remember seeing Mrs. Doubtfire at the theatre) and definitely thinking that Leh’s seemed to have an aura of high-end glamor compared to other department stores in the Lehigh Valley, but also that it was favored by an older clientele (I don’t think I ever went into any Leh’s unless it was with my grandparents!). As you can see by the new photo, the fountain area in front of the Leh’s was a major senior citizen hot spot. Around this time, the Woolworth’s had a little pizza/snack stand next to it as well as a full-service sit-down restaurant (I don’t believe either was accessible through the store, only through the mall corridor). Also at the mall were a Boardwalk Fries (across from the theatre near the staircase), Arby’s (to the left of the theatre) and a candle store called Candleman (near Sears). Strangely, I don’t really remember this mall being especially poorly-tenanted before it got big-boxed. Thanks for the updates on some of the old posts! I’ve been checking this site almost everyday since December and new content makes my day. This reminds me of how Northland Mall in Appleton WI is set up now, though just not as haphazardly. It still has a small slice of its old enclosed portion left between its anchors ShopKo, and Kohl’s. The rest of the mall off the east side of Kohls’ building is a outdoor strip of shops. The enclosed mall portion was once much bigger and had some 30-odd storefronts, until Kohl’s doubled the size of their store by 60,000 SF. with two expansions in 1994 (by 20,000 SF) and 2000 (another 40,000 sq ft) respectively. The original 1983 store was only 58,000 SF or so, and the enclosed portion actually had a center court and another long wing going to a front ‘main’ entrance. I think this calls for another Wisconsin mall write up soon. I’ll get right to it after I return home from Chicagoland. I wished I got pics when I went to Northland for the first time in 1992, but I was young and dumb back then. I did get pics from 1996 and again in 2001. I’m heading up that way tomorrow, so I should probably try (but can’t guarantee it) to get updated pics. I find it quite weird that they tore down the hallway toward Sears, but I guess the owners of Whitehall were having trouble keeping occupancy rates high enough for their standards or something….). Regardless of this reason, I don’t think tearing down the hallway toward Sears was the best idea for this mall. It certainly must not encourage many Sears shoppers to shop the rest of the stores in the remaining enclosed portion of this mall…..
And is the Boscov’s opening in the space that appears to be above the Weis supermarket in the map pic of the mall(and that looks to be cut off from the pic)? My questions aside about this mall, the old interior decor of this mall is quite interesting(especially the stairway by the rock wall, that I’m guessing is still in the mall today). And as for what Matt was posting, was Northland Mall a mall that used to co-exist with the more successful(sorry if I get the name wrong.) Fox River Mall, or whatever the name of the really successful mall that dominates the Appleton area? Or was it one that opened before Fox River did? I never had heard of Northland, till your post(despite that I’ve heard of some old malls that are long gone, and just love reading about bygone malls….). The Northland Mall isn’t much of a mall by modern standards, like the Fox River Mall. It does a few stores in an inside area, but it’s pretty much just a glorified strip-mall. Stores include Shopko, Kohl’s, Exclusive Music Company (record store,) a dollar store (though I think this one may have closed,) Pages & Pipes (book and specialty tobacco store, sister store to the one downtown;) I actually worked here a while back, Radioshack, Hungry Howies, and a DMV branch, and a China Buffet. There’s a McDonald’s (unattached,) in the lot. There might also be a Pet Supplies Plus or something similar, I can’t remember exactly. Just down from it, not attached but in the same lot, is a Festival Foods. The stores inside… there’s a game store with a bunch of board-games and the like, some kind of nature or gift/decorative merchandise store, a store solely dedicated to model train stuff (and maybe some model kits as well,) and a few others. The mall is located at OO (Northland Ave.,) and Richmond St. Hope this helps. To Chris Whittaker : Got any more information on Northwood Mall? I’m curious. To Dan-onymous: Believe it or not, Arby’s was still there until about a year ago. Keep out an eye on the blog. I won’t be able to this week, but my next write up / submission will be about Northland Mall. It would be rather detailed to explain in a response to this posting….it deserves its own entry on the blog. Not too much, since by the time I got here, it had become state offices with a couple of businesses left over that services the state workers, kind of like the Empire State Plaza without the location or towers. You can find a description of this mall on Storetrax. http://www.simon.com/mall/LeasingSheet/whitehall%20mall1050.pdf has updated info. Apparently Weis took part of hte old theater too. Bobby: That’s surprising that the Arby’s managed to hold on so long…I visited this mall about 2 months ago and in its place was some independent restaurant called Lucky 3’s, or something like that, though all the furnishings remained the same. Allan: I doubt a Boscov’s would now be joining this mall, as they just opened a new location across the street at Lehigh Valley Mall in the former Strawbridges space. Oh ok, I see what you’re saying about Boscov’s. I must’ve gotten completely confused, when I was reading this info(and the later comments) about Whitehall Mall. I had no idea either that in actuality, both these malls were right next to each other…..
And Matt from WI, that’s ok if there is too much info to explain Northland Mall’s layout in a comment here, I look foward to reading your full post on that mall whenever you get around to posting it! The pictures of Leh’s really make this post. I remember stopping for breakfast in Allentown in ’92 or ’93, seeing a newspaper ad for Leh’s and wondering about what their stores were like. Now i know, and I’m impressed. Sure they were a little dated, but you can tell it was a nice store. I recognize the picture of the Leh’s store from Quakertown. After Leh’s, it became a branch of Nestor’s Sporting Goods (unless there was something else there in between that) who still have a location in Whitehall. The Quakertown store closed earlier this year, so the space is empty once again. I was a regular here all through the 80’s and early 90’s. I prime mall hangout age from 1987 to 1991. I remember it all like it was yesterday. The Lehigh Valley Mall was much bigger and better but we had some fun times in the Whitehall mall. It was definitly slower and thought of as the “old people” mall. The ruined the LV Mall with that stupid renovation the took away the spiral staircase. Saw many movies at the Plaza movie theater like E.T. and Raiders of the Lost Ark when I was little. Grandmother shopped at Leh’s. That whole area has changed so much it makes me sad. Who remembers Hess’s North and Kiddie City? This mall is totally destroyed now. The new Millenium has not been kind to malls. Both malls had a Space Port arcade. They ruled back then. I could go on forever. Where can I find more vintage photos of these malls? @80’s Kid, i remember hess’s north and kiddie city.kiddie city was such a pain to get to,and eventually toys r us put them out of business,mostly because of better location i would guess. Hess’s north was I believe where the current Bon ton is in the trexlertown mall. (another mall that they closed down and chopped up). Hess’s south is where the Bon ton/south mall is (hence the name) . I too have fond memories of the Whitehall mall. It was where my girlfriends would go to hang out,….our parents thought we were too young to walk around LVM by ourselves. I would love to check out old pics too…. good. Two Guys department store was one of my favorites too. More pic’s of the inside of the Whitehall Mall would be great! I’ll look for some as well. I can remember the Space Port along with Kiddie City and Hess’s North. I can even remember the times before Space Port. They had various mechancial arcade games placed throughout the mall. Most of them resided down my Leh’s in the sunken areas. This was the mid to early 70s. In the 80’s there was a music store that would sell new releases on cassette for around $6. 1. Santa arriving by helicopter. Colored ping pong balls dropped from the heilcopter to be traded for Mall gifts. 2. Weis Market. My first place of employment during high school. Good times. 3. Spencer Gifts. Great place to check out the latest rock posters that glowed under a black light. 4. Woolsworth. Ah yes, the record dept. I spent hours searching thru the latest albums and 45’s. 5. The Paperback Den. A great little bookstore. 6. The Plaza Movie Theatre. $1.25 matinees. Christmas Parties. 7. The water fountains, talking parrots, and annual hula dancer shows on the center stage. 8. Rea & Derick Drug Store. The snack bar made the best cherry coke floats around. One thing that I always noticed about the Whitehall Mall is the small second floor located near the entrance with what appears to be a bank of offices. These offices are obviously no longer in use, and they look like they must have been designed sometime in the seventies (and have not been updated since then). I’ve always wondered if these offices were for rent at one point or if they served the stores located in the mall or the mall itself…I’m sure most malls contain some office facilities, but I’ve never seen any that seemed so deliberately publicly accessible. Rea and Derrick Drugs later CVS, Nomad Travel, The Shoe Man, Parade of Shoes, Payless Shoes, Orange Julius, Nut Hut, Little Red Wagon snack bar, Woolworth’s Restaurant, Kay Jewelers, Singer Sewing Machine store, Plaza Theater, AfterThoughts, Spencer Gifts, and many more I cannot think of. In the 80’s the mall expanded and added a new wing and anchor store. The anchor store was Clover Department Store which was the budget minded division of Strawbridge and Clothier (it was much like a fancy K-mart). Clover closed and Kohl’s came into the space in the late 90’s. The newer section of the mall contained Spaceport, Arby’s, an music store, Boardwalk Fries, and a few more stores. 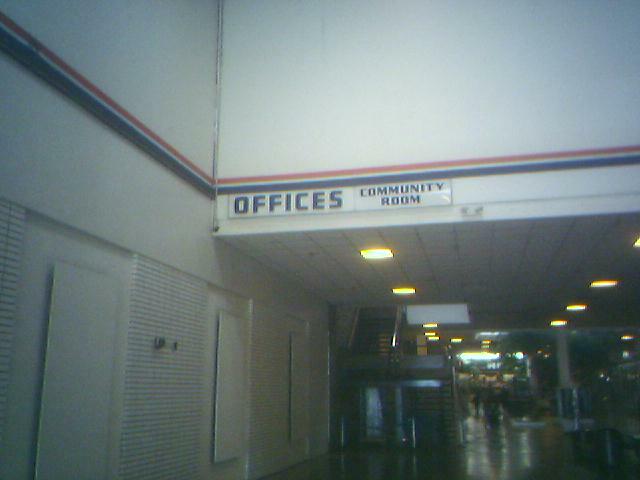 The Whitehall Mall had mall offices upstairs on a second floor as well as community rooms that were for the public and restrooms. I remember the mall for the two fountains near the Leh’s entrance with its colored lights, the sunken seat areas that were later filled in when the mall was renovated, car displays inside the mall by area car dealers (yes they would actually drive cars into the mall), Woolworth’s toy area (an enclosed toy area that was built every Christmas in the mall across from Woolworth’s, With the rise in popularity of strip malls again in the 90’s the owners of the mall decided to abandon the “inside mall” concept decided to make the mall a strip mall. The original strip mall stores (Mall Barber, Liquor Store, Beer Distributor, etc). were town down. The area that was orginally the mall stores and Sears mall wing was turned into what is now occupied by Bed Bath and Beyond, Kay Jewelers, Haband, etc. – the mall was now a strip mall. If you are in the Bed Bath and Beyond store today or any of the other stores you will be actually in what was once the Sears mall wing, Woolworth’s etc. The stores near the Sears auto center which include Apple, Border’s, etc. were built from new in the 90’s when the mall was turned into a strip mall to further enhance the strip mall idea. The Whitehall Mall was built in 1967. Does anyone have any other pictures of this mall to share? I grew up in the Lehigh Valley and watched the Whitehall Mall being built – my family used to eat at the Fireside Restaurant across MacArthur Road from the building site. We were all amazed at the size of the project – we had never even heard of a mall at that point. My family shopped at Sears – the old one on 7th Street in Allentown before the mall opened. Later in life my first credit card was a Sears store card that I applied for at the Whitehall Mall store. 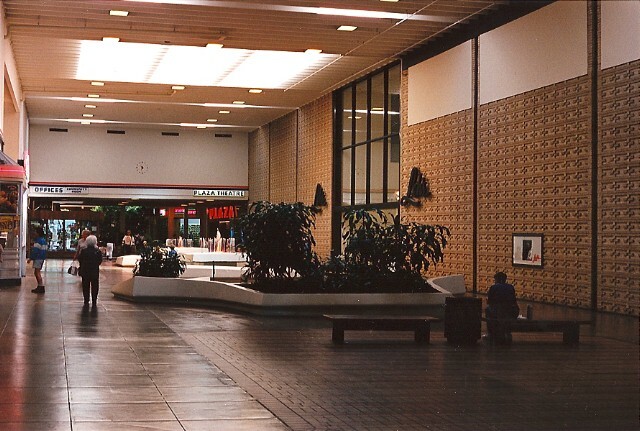 Once the Lehigh Valley Mall opened I spent more time there in my late teens, hanging out and shopping. But I do remember good times at the Plaza Theater – it was where I first saw JAWS. When I was a little kid I rember going to the Whitehall Mall quite frequently, my Mom was a big fan of the department store Clover , (where Kohl’s now operates), I use to shop with my Nan at the Leh’s Department sotre, as well as back then years before Carmike even existed I use to watch many movies at the Plaza. I also rember being at various stores inside the mall and Sears, (which still exists and is about the same today). Here is some informat ion about this mall that I can give to you. First of all the Weis Markets never moved locations, when the mall was boxed around the late 90’s, Weis Markets has kept is full original location and knocked down the wall to the left of the store , went in to the right half of the former Leh’s and than put up a wall to the left where the store got extended and the whole store got renovated (like how they moved the produce section from the right to the left of the store) followed by ripping out the hallway and the stores to the left front of Weis. Then as I recall The Plaza (where it’s main entrance is in the preserved wing of the mall) was still open a few years after the mall was boxed until The Carmike opend a few minutes east of the mall and ran both the Plaza at The Whitehall Mall and The AMC outside the Lehigh Valley Mall parking lot out of business. So for over five years and I think it was even over five years the Plaza theatre and the left side remain of Leh’s sat empty, and it even seemed impossible to put a store on the left side of Leh’s , due to the fact that how they extended Weis Markets there was no place to put an entrance so it seemed like it would be just an empty permanent space until Gold’s Gym came in like around I think 2005 and has taken the whole former Plaza and what was ever left of Leh’s and put a nice gym which is only a few years old and operates wonderful ( I know poeple who attend that gym) the only thing was I guess above the left side of Weis Markets the original second floor of Leh’s still exists but they ripped out the second floor of leh’s that was above the left half of the store where the gym resides , but still has the metal cealing frames where you can even see a big open square in the middle of the gym where the escelators use to run up and down. Also the Weis Markets went out of business like over a year ago (even though it had outside access) and I think the main reason is that most people like me always went to the Weis up on MacArthur Road which was actually built and opend up right after the Whitehall Mall location has been renovated and both Weis have been operating at the same time for like over five years. Now I do know that the section of the mall preserved right after you pass the former Plaze to Kohls has been an addition like in the 70’s (where by the way if you walk into the mall from Kohl’s they still have the cool Pet Shop with alot of cats and dogs), but anyway from the origninal hallway that goes from Weis Markets/Leh’s up to Sears they kept everything from the right side of the hallway but demolishes the left side of the hallway and the hallway it self, but the whole right side is still there as well as Sears. However along with Leh’s and all the stores that have shut down on the left side of the hallway alot of the stores on the right side of the hallway closed down which gave room for Bed Bath & Beyond. Some of the stores that have been on the right side of the hall way are still in its present spot though like Payless, Kay Jewelers, and Catherine’s Cloths for women , and Hallmark have remained in the same spot a few years after renovations. I have actually heard that the Payless hasen’t even changed the drop cealings after the renovations and that after everything that happend it still has the same cealing and lights. After Bed,Bath,&Beyond decided to expand there store somemore they made a deal with Hallmark where Hallmark can take over the former Zany Brany store (which opend after the mall renovated and was a CVS before the mall was boxed) and that Bed,Bath,&Beyond takes over the left side of the store which is the Harmones drugstore section of the store (which was added to many of the Bed,Bath,&Beyond stores) and Hallmark has lost it’s original location. Also, I rember being at Joe’s ice Creamery (which opend up after the mall was boxed , closed a few years later, and was to the left of the original Hallmark ) and I remember that right when you enter from the door that for the first few steps in there was still a few tiles from the mall hallway that was knocked out which was cool, but I think when LA Weight loss center has taken that store over they have taken out the old tile floor and what ever the creamery has had and put in a new carpet covering the whole shop shop that is the end of that. Also, i think this happend sometime around the boxing renovations that the Sea Food Restaurant has closed and that the former Home Town Buffet that was located on MacArthur Road moved into that spot under the name Old Country Buffet (Which is a related buffet in the same company), and is still doing good business today. My Mom has also told me that on the second floor of Leh’s there use to be a small Yogart/Salad Bar restaurnt called ,”The Broccile Garden”, which I think shut down before I was born. Arby’s remaind at the mall years after the mall has been boxed due to the fact that in addition to the entrance in the presevered hallway that was the only Arby’s with an outside entrance in the Whitehall area, and I think when they put the nice new big outside Arby’s restaurant on Shadt Ave that is what hurt the Whitehall Mall Arby’s to go out of business. Also right after renovations on the West side of the parking lot they built a small shopping center from scratch that has a Famous Foot Wear and a Border’s and Michael’s and the store to the right of it was added on to the strip center when the boxing was completed to and converted mostly into a strip center. But keep in mind that even though things look differently now most of the mall like throught the strip is still the original part of the mall. The mall’s decor in the 60s and 70s was more ornate and colorful than in later years. The cieling was adorned with circular panels done in various colors. The tile in the floor had circular patterns that mimicked the cieling. Outside of Zollingers (which later became Lehs), there were four very large lighting fixtures that hung from the cieling. The lighting fixtures were black and white striped cylinders and were futuristic in a 1960s sense. There was a very, very large bird cage in the center of the mall that included large tropical birds. The bird cage disappeared in the early 1970s. The rest of the trippy decor was removed in the mid to late 1970s. I don’t think Spencers went defunct. Last time I checked it was still in the Lehigh Valley Mall. Now how that mall is changing and a lot of those stores are being forced to close, who knows if it is there or not. Chris made mention of the 2 weis stores, the one in the mall and another up the road. At one time, soon before the renovation, Weis’ original plan was to replace the mall store with the one up the road. When the renovation was announced, they were unsure on whether to rebuild or replace the mall store. They chose both, which explains why both stores [re]opened only a year apart. Spencers was in both malls simutaneously while WM was an indoor mall. Although the one at WM was larger than the one at the LV mall, the one at the LV mall had more stuff. Who here remembers the birds that always flew around Woolworth’s? Yes! parakeets. Just like in the big birdcage when you walked into the Mall from Sears. I would really appreciate it if Labelscar could one day profile the Lehigh Valley Mall. I visited that mall yesterday, and I had a great time. The Lehigh Valley Mall has a beautiful, whitewashed look to it. As most already know, the outdoor lifestyle portion is now open, and it is a wonderful addition to the mall. The mall’s three anchors–especially Boscov’s–are also tremendous highlights. 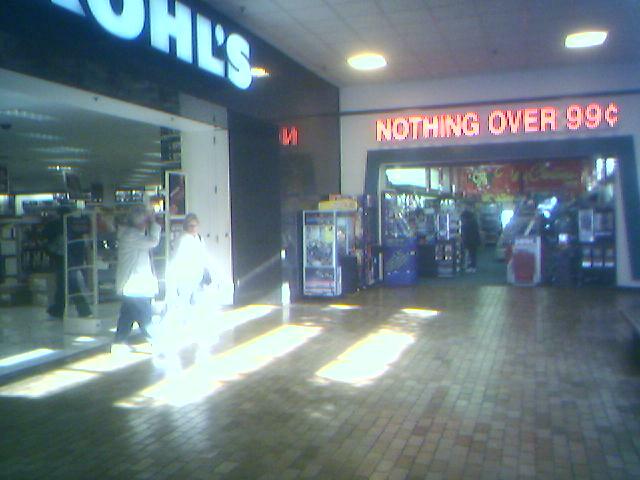 I do not rember Weis having an outside entrance until the mall was torn apart. I also do not recall an outside strip mall with a beer store and stuff, was that connected behind the stores across from what is now Bed Bath and Beyond? All I have to say is that the only store that remains in the hallway The PetShop should move to the Lehigh Valley Mall. It is a really nice store and I do not know hos it is surviving at the Whitehall Mall. They have one at the Palmer Park Mall that is doing well. 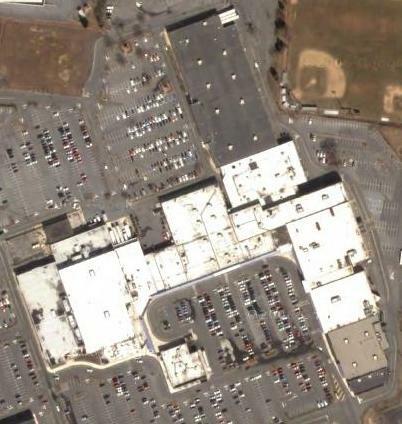 Now that Lehigh Valley Mall has the outside addition it would be the perfect spot. I should contact the owner and suggest them to move it will cost them more rent however with the bigger business it would pay off in the end in a much cooler mall. Wow. This brings back memories. My very first job when I was in high school was at the Pet Shop. I’m not sure if it’s the same store that apparently still survives in the interior, but when I worked there it was in the outside strip mall part. That outside part did indeed contain a liquor store, some kind of tobacco seller, a teachers’ supply store (The Teacher’s Pet, I think?) that my mom used to frequent, and a Merchant’s Bank (where I cashed my very first paycheck). The strip mall part started at the Weis entrance, then ran west towards the Sears, and ended at what eventually became the Buffet place. I used to grab lunch at the Orange Julius, which was a free standing kiosk right at the junction of the two wings, across from Leh’s. I remember when they added the Clover/Kohl’s addition in the 80’s – that wing used to stop at the Plaza. And there was some other sort of discound shoe place there – Fayva? – before Payless. And the “nothing over 99 cents” store used to be a “nothing over 9.99” clothing store. I think I furnished my middle school wardrobe there. This site brought back a lot of great memories. I hung out at the Whitehall Mall all through my high school years. My first job was at Percy Brown’s in 1974. I do remember the birds that always flew around Woolworths! Anyone else recall the Little Red Wagon that sold the popcorn? It always smelled so good when they’d pop up a fresh batch. In the photo of Leh’s at the top of the page, you’ll notice an area above the Leh’s sign that is boarded up and painted white. This used to be a restaurant back when the store first opened as a Zollingers. The restaurant was on the second floor of the store and overlooked both the mall and the first floor of the store. In its early years, I remember the restaurant having a lobster tank. It may have been a seafood restaurant. I don’t remember the name. Zollingers changed to a Leh’s and at some point, the restaurant was closed and boarded up. When the movie “Earthquake” played at the Whitehall Mall’s Plaza Theater in 1974, it used an effect called “Sensurround” that would cause the theater to vibrate by using large sub-woofers. The theater was right next to Zollingers (Leh’s). Reportedly, the vibrations from Sensurround could be felt in the shoe department and caused shoes to fall from shelves along the wall. @John, The restaurant located on the top floor of Zollingers was called “Top of the Mall” I believe. I ate there many times with my parents. Does anyone remember the “shrimp salad” sold in the restaurant on the second floor of Zollinger’s? I am trying to find the recipe if there is one floating around out there. It was very good and yes, these pictures are fantastic. We used to “hang out” in the mall back in 1970. I remember buying lots of records (LPs and singles) at “Whitehall Mall Records” that was located across from the Lehs at the “pit” area. A lot of what people heard on WSAN radio came from there. My show was one of these. Their towers are still in the parking lot, but their format changed a bunch of times. I read some of the posts here and it seems like there are a lot of folks who know Lehigh Valley history. Could you please tell me the name of the little boy who walked across the ice over the Lehigh River, I think within view of the Northampton Bridge, and fell in. It was in the early 1960s. I know that also a diver lost his life in this rescue. If you can direct me to another website with information, I would appreciate it. Thank you. I tried looking for it on the web to no avail, but I remember hearing about it from my parents when it happened, because we lived so close to the river, right where he fell in, and were warned not to do the same. His name was Lang. The pet shop there is terrible. Disgusting. I didn’t dare purchase anything from the store, just being in there made me feel ill. Most of the animal’s enclosures were dirty and inadequate (I saw three ferrets shoved in an aquarium of all things), not to mention the puppy mill puppies they sell in the store. If you hate puppy mills and animal neglect/abuse, steer clear of this store. Do not give them your money, you’re only supporting their poor practices and the puppy mills they get their puppies from. Hi — I came across your website while looking up Lionel Kiddie City on Macarthur Road in Whitehall, PA. I’ve been trying to remember exactly where Lionel Kiddie City was in Whitehall. It was always our second stop when/if Toys R Us didn’t have a game we wanted. But, I can’t remember exactly where it was. My mom says it was where the Kmart is now on Macarthur Road. Do you know? Kiddie City was actually in the Kmart Shopping Center on Mac. Rd. – the exact shell of the building is not the JoAnn Fabrics Store. Kiddie City was what now is the the JoAnn Fabrics building. The entrance to JoAnn Fabrics is the original entrance to Kiddie City. The stores that are in front of JoAnn Fabrics did not exist and was basically the parking lot area. I remember as a kid that they used to having demo swimming pools filled with water and demo swing sets outside in front of the store. As far as Levitz goes… the Levitz building was to the right of Kiddie City. The original Levitz building was razed and a new building was built for the Lowes store. @Lou, i f you were coming across 7th street to the k mart side you would have veered to your right ,to the right of what used to be the bookstore. it was back behind a furniture store.not sure if its still there. @Lou, I think it was actually where the current lowes is now….before that I think it was levitz. It is actually behind the Joanne fabric store. I use to work at the other record shop in the Whitehall Mall. The one near Sears….I remember the whole gang from the record shop would stop in the Seafood Shanty to have a few drinks after work. Some the people that worked there was Bret, April, 2 Chris…one male the other female, 2 Mikes..and myself, I can;t think of the name of the record shop for some reason…was it RECORD WORLD? You got me….anyone know the answer? @Jim, I think it was record world….I used to buy tape singles there…. @Emily, Now you realize you are showing ur age by saying that you bought cassette singles ? @Jim, It was Grand Records, I used to work there, but in the KOP Mall location. It really was one of the best jobs and record stores, I ever had, was sorry they sold it, but understood. The owners were really music lovers and were good to us teenagers. Its where I met some life long friends. Hey it’s Lou again, still enjoying these pics of the Whitehall Mall. Thanks to everyone for helping me figure out where Kiddie City was. I live in Whitehall right now, but as a kid I lived in Easton and looked forward to making the trip here because of the big mall and great toy stores. Now it’s not so exciting. Kiddie City was at 2638 Macarthur Road. I have to check what’s there now. Sears opened into the mall itself,and sat a a bit of a vertical slope to the rest of the mall-on boring winter nights we (mall employees) used to joke bout wanting to roll bowling balls down from Sears and see how far they’d get. What Joe mentioned bout Kiddie City and Levitz is all correct. In fact before Ieft PA I worked for JoAnn’s for many years. There was Two Guys over where Giant and ACMoore now reside. Anyhow basically from 1986-1999 9with a 3 year break in between I worked/managed stores in both the Whitehall & LV Malls…It’s sad n creepy to see what they did to Whitehall-and I agree-don’t get me started on LVM either. Lots of memories…I can smell the popcorn from Little Red Wagon in my memories!!! @Heids, Does anyone know what the red hot dog wagons name was in the whitehall mall ? or if it is still there ? I worked at this mall twice in my life. 1st: in HS at the ice creamery which was on the corner across from leh’s and the cvs. Then in the early 90’s at B.Levy Shoes which was across from the Woolworths. The McDonald’s on MacArthur Rd just down the hill from Sears…anyone know what year that opened? I don’t remember it NOT being there! I know it was there at least as early as the early-70s but I’m sure that it was there even earlier. I’d guess it was one of the first McDs in the Valley. I know the one on Lehigh St was around at least as early as the late-70s and the one on 15th & Tilghman….I’m pretty sure that opened in ’81. There was a McDs downtown Allentown until ’84 when it briefly became ‘Burgers and More’ before changing to various things in the years/decades that would follow. Anyway, back to Whitehall Mall area, remember the big empty field across MacArthur from the McDonald’s? ‘Best’s’ was the name of the first (department) store that was built there before so many, many other businesses would be built – most of them in the long ‘L’-shaped plaza that now stands. Egypt Star, of course, was always there and I’m sure there are a few businesses still nestled along that immediate drag that may have been there from way, way back – can anyone name ’em? Orange Julius, to me, was the ‘Centerpiece’/’Climax’ of each ’70s childhood WHM-experience. As my parents/grandparents would leave Sears and…’descend’ into the Mall by way of…WHATEVER that ‘vortex’/DMZ-zone/ramp was (I barely remember the details of it), excitement would always build up inside me and keep building up from store-to-store until that very destination at the OJ stand (and made with a real egg, mind you). Yeah, any chance of me reading all these posts and feeling old was put to a halt by reading some posters TWEENAGE memories from that time; and even EARLIER (late-’60s/early-’70s). I do have some memories being there as a teen in the ’80s, but not as much (like many of my peers, sadly for WHM, I was spending more of those years DOWN THE HILL). last but not least… …HESS FIELD (future-site of you-know-what) where that Iron Pigs-precursor of a minor-league team once played! Yep, not even our beloved INTERNET can dig ’em all back up for us to see and read about. Can anyone out there help to rectify? Let’s keep this thread alive, gang! Can read this stuff FOREVER! ps – oh, one last thing…..who ever DID let the BIRDS in?? or did they get in by themselves and everyone just let it be?? I have some more recent pictures of the mall up on Flickr the old leh’s entrance is now bricked over with the canopy still there. Golds gym took over the plaza space and the rest of the leh’s but left there old interior mall facade intact the Weis closed and is now an buy buy baby. The sad part is seeing the remaining indoor section rot away the old offices are falling apart and blocked off and the old space port is now an comic shop with an barely Changed outside.